Laßt uns sorgen, laßt uns wachen (Let us take care, let us watch over), BWV 213,[a] is a secular cantata by Johann Sebastian Bach. 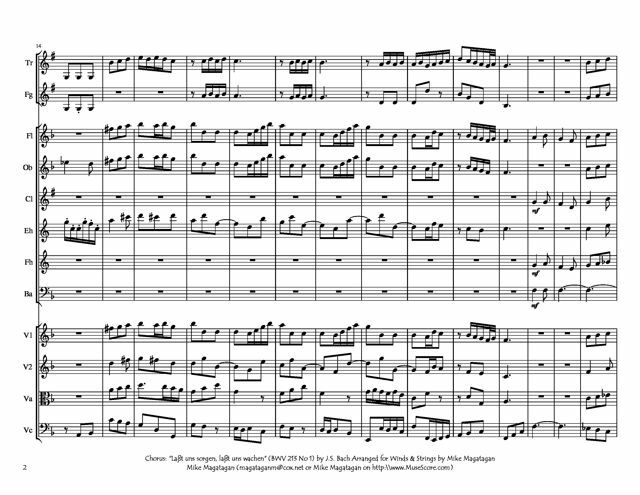 Bach composed it in Leipzig on a text by Picander and first performed it on 5 September 1733. It is also known as Die Wahl des Herkules (The choice of Hercules) and Hercules am Scheidewege (Hercules at the crossroads). The cantata is scored for two voices: the farmer (bass) and Mieke (soprano). The instrumentation includes a string trio of violin, viola and basso continuo, accompanied by a flute, horn and second violin respectively. 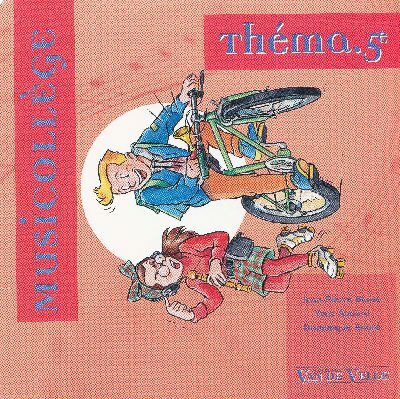 The work was a dramma per musica describing the story of "Hercules at the Crossroads". 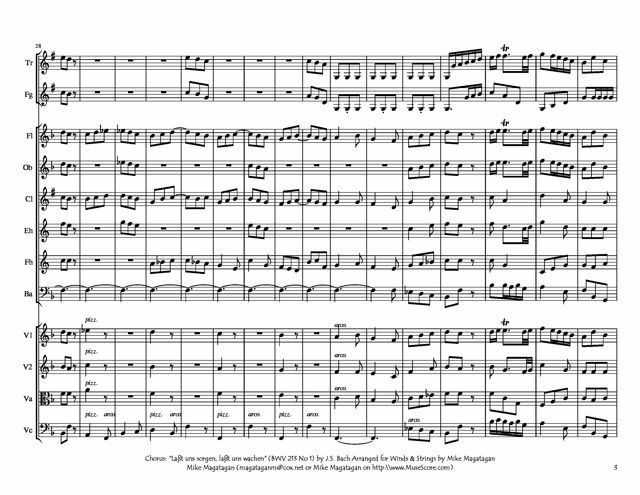 Bach composed the piece for the 11th birthday of Crown Prince Friedrich Christian of Saxony. It was first performed in Leipzig on 5 September 1733 at Zimmermann's coffeehouse (the locale celebrated in the Coffee Cantata). 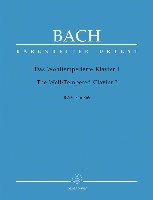 Bach used the aria "Schlafe, mein Liebster" in a revised form in Part II of his Christmas Oratorio. A duet of the cantata and the duet "Et in unum Dominum" from his Mass in B minor share a common lost base. The cantata has four vocal soloists: Lust (soprano), Hercules (alto), Virtue (tenor), and Mercury (bass). 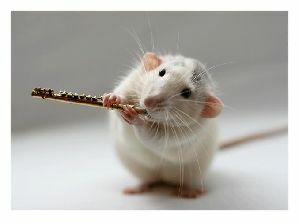 It is also scored for a four-part choir, two horns, oboe d'amore, two oboes, two violins, two violas (or viola and bassoon), and basso continuo. 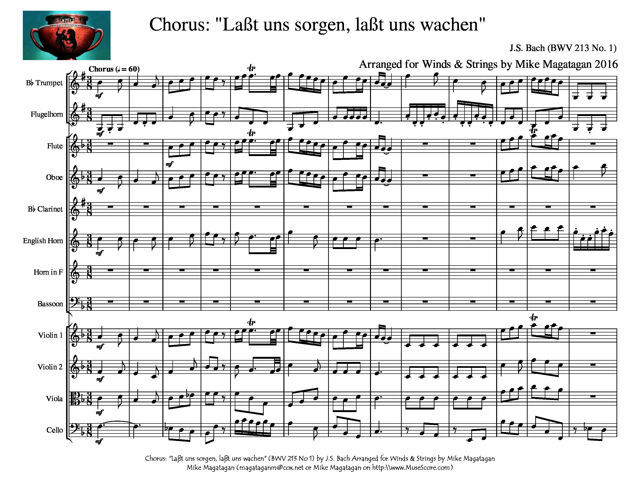 I created this arrangement of the opening Chorus: "Laßt uns sorgen, laßt uns wachen" (Let us take care, let us watch over) for Winds (Bb Trumpet, Flugelhorn, Flute, Oboe, Bb Clarinet, English Horn, French Horn & Bassoon) & Strings (2 Violins, Viola & Cello).